What do you do? Are you a business owner, salesman, real estate agent, blogger, shipbuilder, carpenter … Whatever it is that you do, you do that for a reason. Whether you’re good at it, enjoy it, or simply continue your mundane daily activity to keep food on the table, a graphic designer, DESIGNS. While typically a person with some computer experience CAN put together that flyer advertising some weekly special or company party, or order new business cards from the crap templates at VistaPrint.com. That doesn’t necessarily mean that they SHOULD. G raphic design is the art of communication, stylizing, and problem-solving through the use of type, space and image. 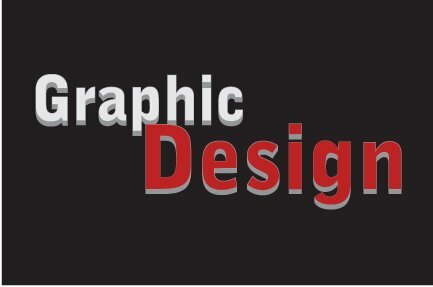 Graphic designers work within constraints of their given medium to communicate your idea, your message and do so in a way that is visually appealing and draws the focus of your audience toward the message. That is what it’s all about. In case you haven’t noticed, graphic design is everywhere it encompasses everything from typography to page layout, logos, product packaging and everything in between. There’s a high probability that you are surrounded by at least 10 designs right there at your desk or sitting with your mobile device reading this. Don’t judge a book by its cover What a lie, every single person is going to judge you on what you did today, or your most recent communication. They are going to judge how you look, how you spell, how the design of your business card looks … If communication matters to you (with your clients, customers, colleagues, friends), it should be apparent in the design of your communications and products. Next PostNext Have a safe and happy Independence Day Weekend!